It’s easy to get stuck in a rut with exercise equipment: dumbbells for curls, bars for presses, stability balls for crunches. However, traditional tools can be used for so much more. 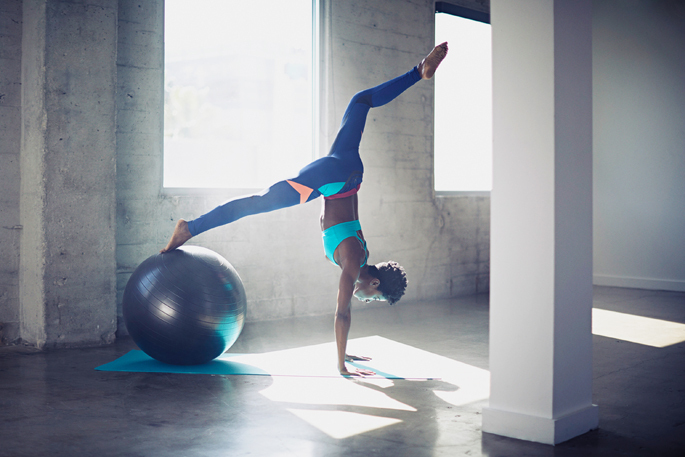 Hit refresh by giving classic go-to’sa bit of a makeover, starting here, with the stability ball. Start in push-up position (hands under shoulders, abs engaged, legs extended and together behind you), with tops of feet centered on a stability ball. Bring right knee in toward chest, then rotate torso slightly as you extend leg out, parallel to the ground. Perform a push-up, keeping body squared up as much as possible. Reverse motion back to start. Repeat on left side. Continue alternating sides with each rep. Do 8 to 10 reps.
Place hands on Swiss ball with your body in a push-up position. 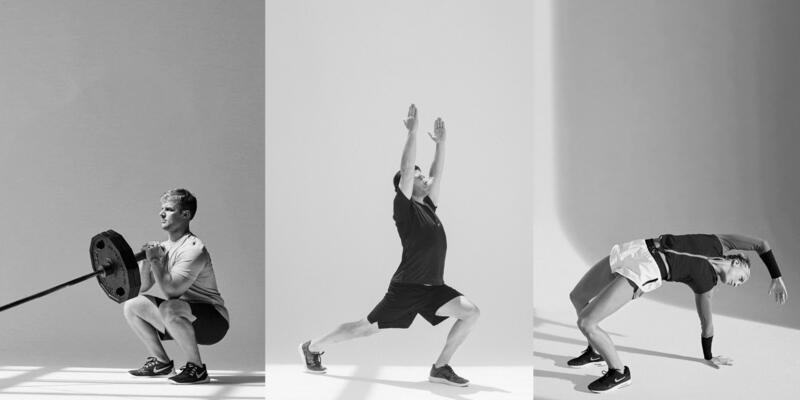 While maintaining a straight line from head to heel, lower body to the bottom of a push-up, hold for a count of one, and return to starting position. Keep a full range of motion on the push-up while controlling the position and movement of ball. Do 8 to 10 reps. Position yourself at the bar with an underhand grip, hands shoulder-width apart, legs extended at hip level in front of you, squeezing a stability ball between your feet. Keeping feet flexed and inner thighs engaged, bend elbows by sides to pull yourself up, until chin reaches bar. Gently lower back down; repeat. Do 8 to 10 reps.
Start in a pike position (upside down “V”), with palms under shoulders, toes centered on top of a stability ball, legs together, hips raised toward ceiling. Keeping lower body still, bend elbows behind you, slowly lowering head toward floor; carefully press back up to start. Do 8 to 10 reps.
Start in plank position with hands directly beneath your shoulders and the tops of your feet on the stability ball. Shift your weight forward over your shoulders, hands and pelvic floor. Engage abs to raise hips, drawing the ball inward a bit, and lift one leg overhead (as shown). Hold for 20 to 30 seconds. Repeat 3 to 5 times on each leg.